Chief Inspector Wexford finds nothing unusual in the disappearance of Rodney Williams, a husband and father who likely has run off with another woman. But when the man’s car and suitcase are discovered abandoned, can a body be far behind? 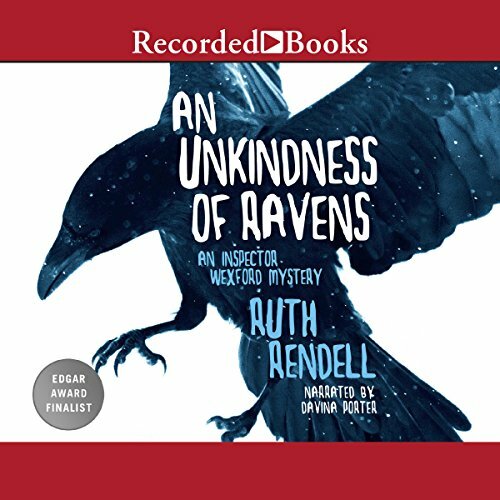 Confounded by a string of violent stabbings, a strident schoolgirl clique, and the seemingly placid domesticity of his neighbors, Wexford’s detective instincts must take flight in order to bring down a murderer. With a keen wit and even sharper plot, Rendell weaves a suspenseful web of ever-tangling secrets, double-crosses, and double-lives. Investigate more cases with Inspector Wexford. Wonderful read for feminists. History of women's place in British Society revealed in a fascinating serial murder case. Powerful story that keeps the listener glued to book. Yea another writer with a great detective! Like Nero and Perot this is another good old detective, using his skills and not a lot of hocus pocus to solve the mystery. The other good thing is here is a prolific writer! This is a slow-paced, detail-oriented murder mystery with a lot of twists, turns, and dead ends. It's a bit "dated", so if you are interested in up-to-date, technological procedurals with current cultural references, this may not be your cup of tea. That said, it is interesting, well-written, and has good characterizations. The narrator does a good job with the different character voices. The ending ties up the loose ends a bit too abruptly for me, but maybe that's just the "twistiness" of the story itself.